Cole had the day off school earlier this weekand was a little bored in the afternoon. We went into the laundry room (aka also craft storage room) and pulled out this Make Your Own Snowglobe kit by Creativity for Kids that someone had given him last year. 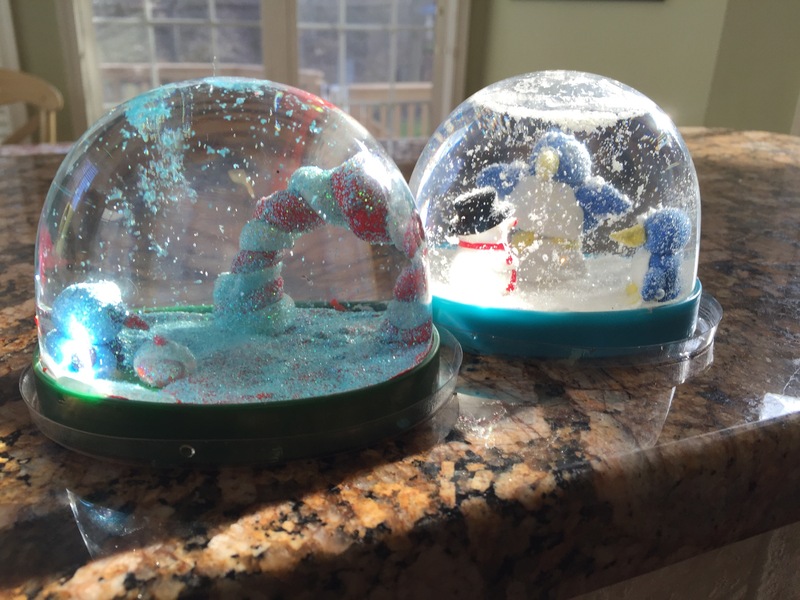 He proceeded to spend the next two hours making these two cute snow globes! The kiddos make their own shapes for inside the globe with clay. Fill the globe with water and glitter and voila! Instant snow globe. He LOVED this. Thought it was worth a feature for this time of year – I see it’s backordered but you can get it in time for Christmas! Get theMake Your Own Snowglobe kit by Creativity for Kidsfor $19.99 on Amazon.